I’ve wrote about The Mediterranean Diet several times and I still think it’s the best way to eat. Yesterday I wrote about saturated fats and that minds are changing and that in moderation saturated fats aren’t harmful. Of course, everyone doesn’t go along with that, but almost all research shows that the diet or the way people eat in the Mediterranean region of the world could be the healthiest diet. In spite of body fat, these people have managed to avoid heart disease and any other types of coronary diseases. When your eating a Mediterranean style diet you won’t be counting calories. You’ll be swapping bad fats for good ones like olive oil instead of butter. Fish and poultry instead of red meat. Fresh fruit instead sweet desserts. You’ll be filling up on veggies and beans. You can snack on nuts instead of candy or chips. The idea is to eat thinks that are nutritious, thinks that add value to your diet. Stay away from processed foods. Eat real food and not manufactured food. It’s easy to follow the chart. 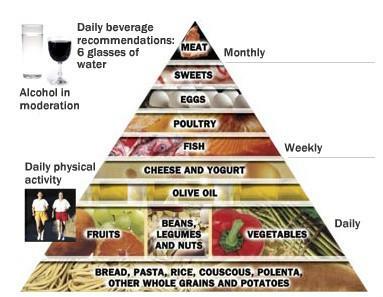 If you stick to the foods on this pyramid and avoid everything else, you’ll get the energy back that you thought was gone forever. After a few months you’ll notice the fat will start to disappear. As you can see, there’s broad choices in each category. The largest number of choices are in the “Daily” category. You want to eat as many of these everyday. You notice that fish, poultry, eggs and sweets only one time a week and red meat or pork only once a month. If you remember your ancient history, this is the way Greeks and Romans ate. One more thing that might surprise you, They didn’t use sugar and little salt, they seasoned food with spices. Today their diet has changed a little because of the Northern European influence, but the variety of foods to choice from is mind-boggling. Italy and Greece are only two of the Mediterranean countries. Turkey, France, Spain and Morocco just to name a few, make up a large diverse food culture with 1000’s of great recipes that all pretty much follow the same food guidelines. The people of this region ate this type of diet for centuries. Meat was not always available, and farming became important to the whole region. So the foods you see in the Daily category are foods that came from their farms. You have to change the way you think about shopping. For instance, salads aren’t made with lettuce in the Mediterranean region, you would use veggies and beans, like Spinach, bell peppers, tomatoes, cucumbers, olives and a crumbly cheese like Feta. Top with olive oil and lemon or wine vinegar. Bread is important to the diet but only whole grain. Don’t mistake whole wheat for whole grain, there not the same, you want 100% whole grain. And the same with pasta, buy the 100% whole grain pasta. I know that some stores don’t have a big selection, but keep looking, with all the people looking for gluten-free everyone is starting to get more selective about the food their buying. Food is not getting cheaper and if you have to pay more at least get the kind of food you want. Eating the diet of the Mediterranean people won’t shed pounds fast but you will become a healthier you and the extra body fat will gradually drop off. The amount of physical activity you do will make a difference in how quick the weight comes off. There’s no room for a cheat day with this diet. 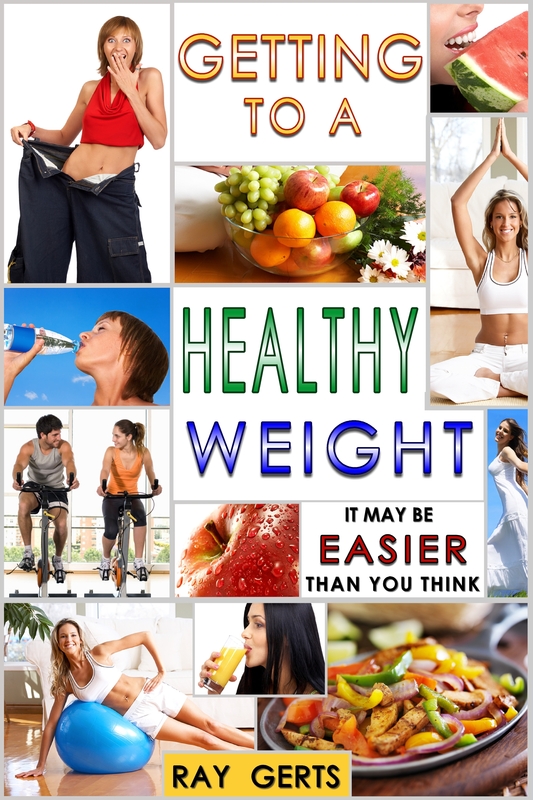 You don’t have to starve yourself, eat all you want, just stick to the chart and you’ll lose weight and get healthy.